It is widely acknowledged that the size of the security industry has increased in virtually every country around the world, often eclipsing conventional police forces in personnel numbers and expenditures. Security providers differ from law enforcement officers in many ways, yet the nature of their crime reduction activities brings them into frequent contact with citizens, drawing to the forefront issues of training, professionalism and accountability. Unlike police officers, whose training and licensing standards are well established, regulations for security providers are often minimalist or entirely absent. 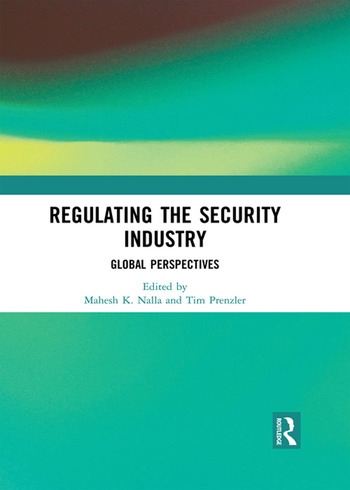 This volume brings together research on regulatory regimes and strategies from around the globe, covering both the large private security sector and the expanding area of public sector ‘non-police’ protective security. It examines the nature and extent of licensing and monitoring, and the minimum standards imposed on the industry by governments across the world. The chapters in this book were originally published in the International Journal of Comparative and Applied Criminal Justice. Mahesh K. Nalla is Professor in the School of Criminal Justice at Michigan State University, USA. Tim Prenzler is Professor in the School of Law at the University of the Sunshine Coast, Australia.